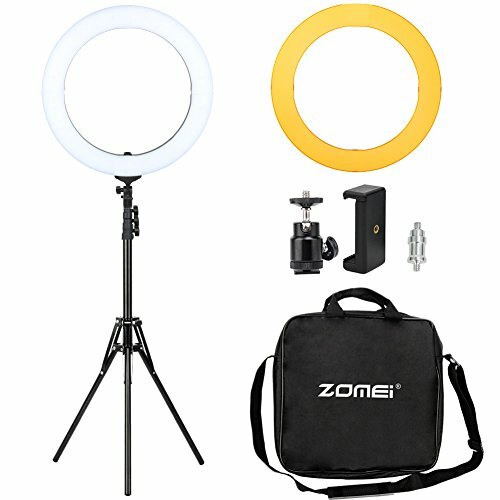 WHY WE CHOOSE ZOMEI RING LIGHT? 1. Compatible with iPhone6 plus/6/5/5S, Samsung Galaxy S6 Edge/S6/S5, and other smart phones, and all cameras. 2. Ring light efficiently removes sharp shadow, and is especially ideal for beauty facial photo-shoot. 3. Light weight, make it perfect for traveling with portable carrying bag. 5. Widely applied to portrait, makeup, YouTube videos, Studio shoot, video blogging, portrait photography and live streaming etc.